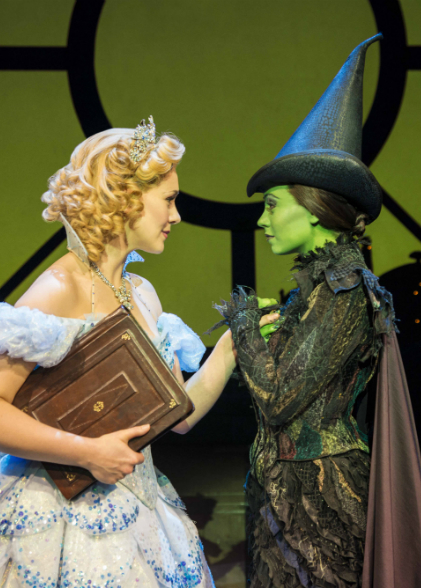 Current acclaimed stars, Emma Hatton (Elphaba) and Savannah Stevenson (Glinda) will both continue into 2016. Joining them from Monday 21 September 2015 will be Oliver Savile (The Phantom of the Opera; Les Misérables and the UK Tour of Cats as ‘Rum Tum Tugger’) as Fiyero; Sean Kearns (The Commitments; The 39 Steps; Billy Elliot The Musical) as Doctor Dillamond; current West End ensemble cast member Daniel Hope as Boq and Carina Gillespie, who played Nessarose (and the role of Glinda on many occasions) on Wicked’s UK & Ireland Tour, as Standby for Glinda. Also joining them is Tom McGowan, who will be recreating his acclaimed Broadway performance as The Wizard, as well as making his West End debut for a limited season until Saturday 12 March 2016. Also continuing with the show are current cast members Liza Sadovy (Madame Morrible), Katie Rowley Jones (Nessarose) and Natalie Andreou (Standby for Elphaba). Other casting includes Nicholas Collier, Laura Emmitt, Kerry Enright, Oliver Evans, Freya Field, Joseph Fletcher, Rosie Fletcher, David Gale, Sergio Giacomelli, Sheila Grant, Chester Hayes, Lauren James Ray, Aaron Jenkins, Jasmine Kerr, Natalie McQueen, Billy Mitchell, Scott Monello, Kane Oliver Parry, Steph Parry, Julienne Schembri, Paulo Teixeira, Joe Toland, Hannah Toy, Russell Walker and Helen Woolf.